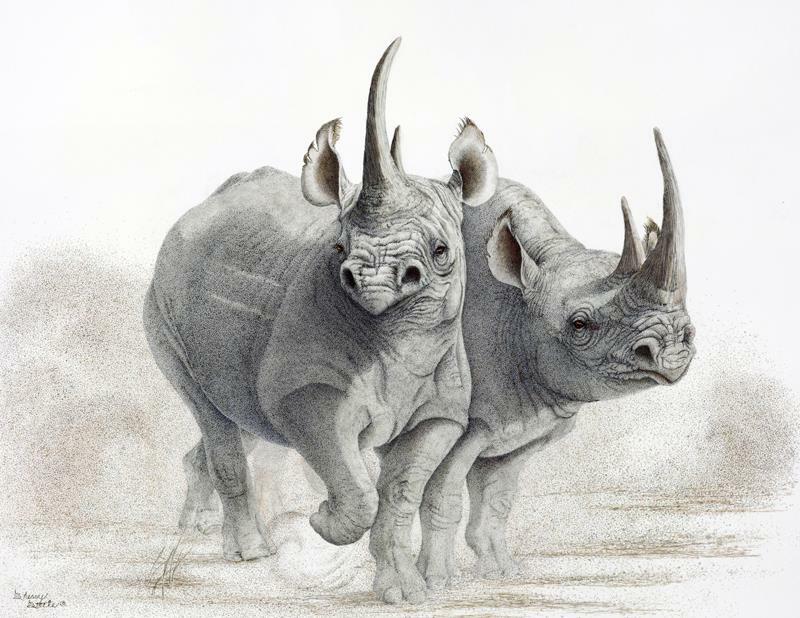 Eight safaris in the making, it has taken me that long to collect the reference I needed for this pair of Black Rhinos. Far more rare and elusive than Whyte Rhinos, there are many reasons why this species is famous for its tendency to charge first and take names later. Seldom a social creature, these two are not pleased about the interruption. Quick to anger, it takes little to make them “Ready To Rumble”.